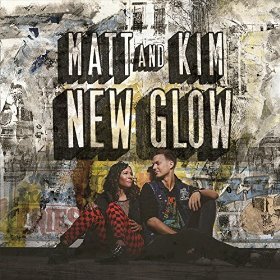 New Glow proves that Matt and Kim aren”t so much as aging with their fans, but staying young with the crowd. You don”t always have to cater to the fans who have been around longest, and sometimes it”s alright to reach out to the high school crowd. Nowhere on New Glow is this more obvious than with “Hoodie On,” which is not a civil defense of black youth being free from clothing discrimination but instead a love letter to working in what clothes are comfortable. “Year off after year/look lookin” like a king,” Matt croons over a sparse beat, no pounding drums but a wailing siren and electronic blips, in defense of those who choose alternate wardrobes. In other words, I go to work, I do my best, and I wear a hoodie. The lifestyle continues on “Get casino It,” another club banger with sparse drumming and more modified electronic beats. “Get It,” what could have easily been a Miley Cyrus song on Bangerz, has more of the classic Matt and Kim elements, but the never going to grow up cry “at 1 am/we don”t want to go home” rings false. In the recession, style millennials are staying in crying because they have no jobs, but hopeful optimism is there in the “Matt in harmony with himself” moment. “Get It” builds in typical Matt and Kim fashion, including a weird moment where Matt”s vocals are effected to sound like a robot Tyson Ritter, into the cathartic release of Kim singing over minimal instrumentation. The highlight of the album is easily “Hey Now.” Matt and Kim have progressively moved from being a simple keyboard and drum band, to incorporating more of the pop/hip hop elements that clearly intrigue them. “Hey Now” opens with a big band progression, big horns, and that thumping drum beat, and builds into an instant dance classic. Matt”s vocals are ecstatic, and again we see the classic building energy to eventual denouement where Matt melancholically promises to stand beside us. Everything about “Hey Now” elevates the rest of the album. The other big plus on New Glow is that we get to hear more of Kim singing.